Issue 80 of Fusion Flowers is full of inspiring ideas from some of the best floral designers in the world for you to create some sensational autumnal designs. We also have reports from several exciting international events. From Singapore we report on the Floral Windows of the World at the Singapore Garden Festival. The overall winner of Best in Show in floral design was Annette von Einem from Denmark. 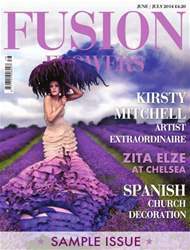 Annette is a gifted designer and was the creator of the beautiful front cover for Issue 80 too. Be amazed by the Flornado that hit San Francisco designed by Natasha Lisitsa. 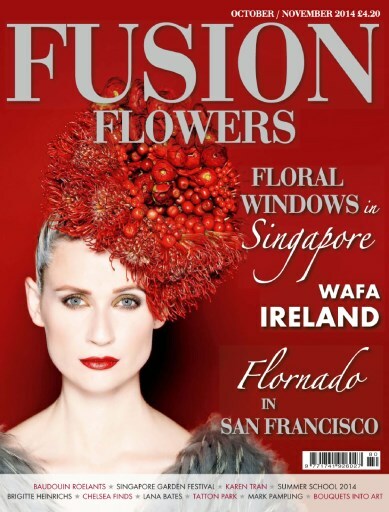 WAFA Ireland proved to be a wonderful experience complete with a warm Irish welcome - we report on some of our favourite designs at the world class event. Sue Phillips set out to find some fresh inspiration at the RHS Chelsea Flower Show and found it in some unusual places! American Event Designer, Karen Tran, has been touring the world running a series of hands-on, workshops to offer practical experience for would be Event Designers on how she creates her magnificent floral confections. We report on the floral results of her Parisian workshop - WOW!